The neighborhood is quiet and calming, and yet when you're itching for more fun you're just steps away: In a lovely residential neighborhhood in Century City, located 5 mins from the famous Beverly Hills (or around 15mins if walking). 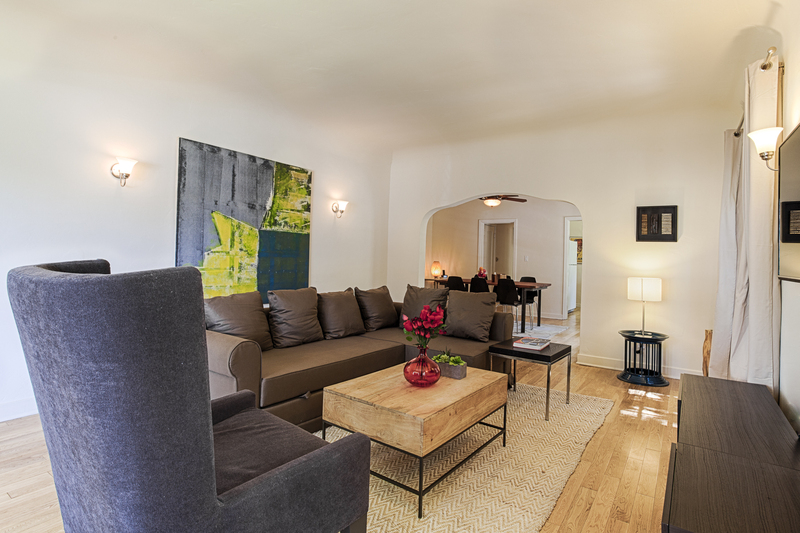 Very private 2-bedroom apartment in a 4-unit charming European 1930's Tudor home. Located on a quite street. This spacious 1,300 Square ft unit is located on the bottom right, has only one adjoining wall, French windows, wood flooring and a beautiful leaded diamond glass front window. You enter the unit in the large living room with L-shaped sofa that converts into a full size bed. Living room has a large 47" flat screen TV, DVD player and opens up into the dining room area with its own balcony with a small for 2 breakfast table and BBQ. Kitchen has dishwasher, fridge, stove and oven and is fully stocked with everything you need. 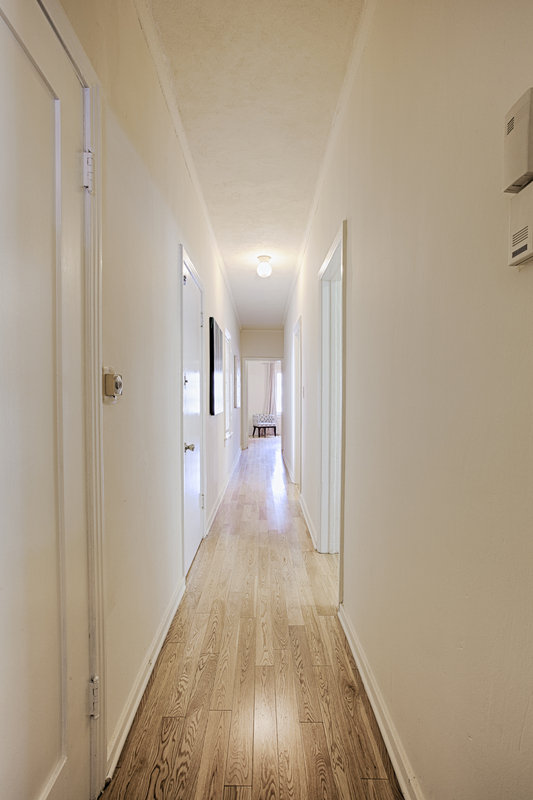 A long 30 foot hall way separates the living space from the bedrooms. Master bedroom has king size bed with 37" flat screen TV and second bedroom has two twin beds. Both have lots of closet space. Bathroom has combined tub/shower and is in between the two bedrooms. 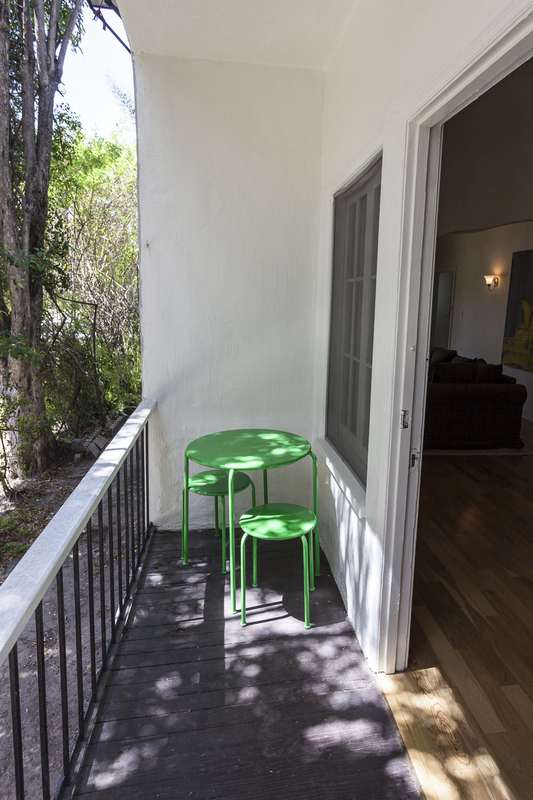 Unit comes with a little outside area behind the building and with its own designated parking space. It has a full size washer and dryer as well as high speed internet and central heat. No A/C in the unit. The apartment is all yours! We interact with our guests as much or as little as you like. It is all about choices... and we are here to help. We have full concierge services available for you to help with restaurant reservations, tickets to Universal Studios or surf lessons on Santa Monica beach. This is a very well located property near everything we wanted to be around. It has a great layout and great space. It is in need of a deep cleaning and updating. The rugs are very dirty as are the windows and there are spots of mold on the bathroom walls. Our guests told us the beds in the second bedroom are extremely uncomfortable. The dishwasher is in need of replacement as many of the prongs were rusted off. The space was ok, but very dated and dark. The owner was very responsive though, and changed light fixtures and the shower curtains to resolve issues. The bathroom is tiny and it is impossible (even with the new curtains) to shower without soaking the room. Bugs are also a bit of an issue. We were warned by neighbors not to leave curtains open and always keep lights on due to area homeless and crime - so that was a bit of a downer. We had a good experience, the rental was comfortable, clean and spacious. 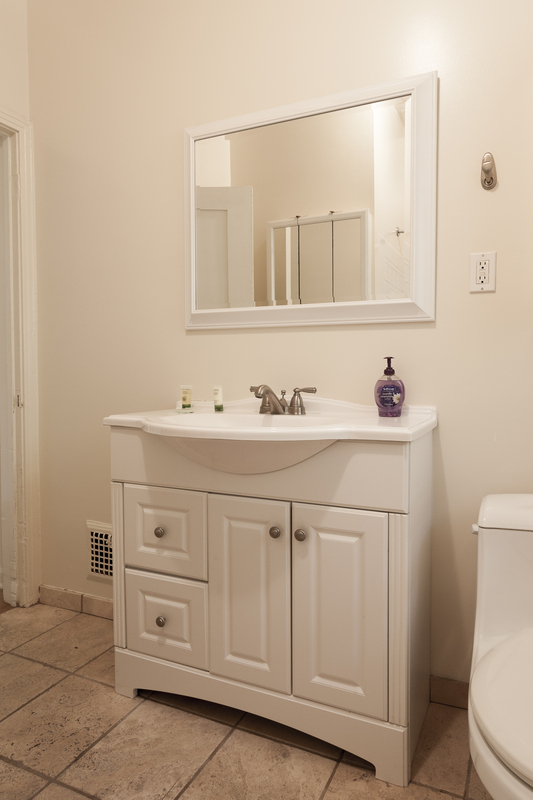 The bathroom is a bit old and would benefit an overall refresh. Kitchen is well furnished. 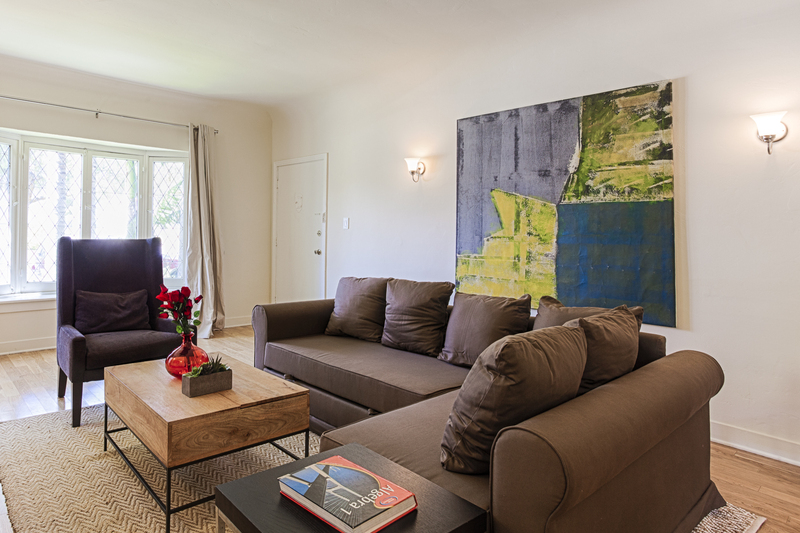 Large, bright, charming apartment close to UCLA and Westwood. Great location and great experience with the management company. Loved that it is pet-friendly too! Apartment was as described, clean and fully functional. We would definitely stay here again. With some additional amenities to make the apartment more cozy (i.e. upgraded bedding, throws, additional supplies in kitchen, more info for visitors, etc.) this will be a very special listing indeed. Thé appartement un LA was well located to visit LA. The street and the neighbours were very quiet. The décoration is Nice and moderne. Good deal in fact to discover the city and to have a real rest when needed. Great size and perfect location. May be a bit expensive but overall I would stay here again. The property was described as advertised. Spacious, full kitchen, living room, 2 bdrm, 1 bathroom. What was omitted was no central HVAC, so mornings were a bit cold. There was a single portable space heater that helped keep the kids room warm at night. I requested extra linen and was confirmed by the property manager, but did not find it when I checked-in. Parking is a bit of a hassle, even though the directions stated that you can parallel park in the back of the house. Not very well lit alleyway, walkway blocked by 4 garbage bins. The place is a fantastic location, super close drive to everywhere! Place has all you need for a family of 4 to stay there. Improvement recommendation - freshen up the place with with a thorough clean (baseboards, window sills, blinds washed) or fresh coat of paint. The bathroom and kitchen could stand a upgrade as well or just basic new caulking. Tenants in building mostly quiet and only heard kids above us morning and night running around on the hardwoods. All in all, neat old place with character and the company was great to deal with!! We had a limited budget and was happy to find this very spacious place in such a great neighborhood. We had a great stay and will hopefully get to come back next year. This is the most disappointing rental we’ve ever stayed in. There is obvious water issues in the bathroom causing mold. We stayed there for 6 days and there was never enough hot water for 4 to shower consecutively. The water pressure in the bathroom was terrible. Finding the hairdryer next to the toilet plunger was gross. The cable in the living room does not work and after complaining to management on Saturday, we were expected to meet the cable company technician on Tuesday to see if he could rectify the problem. I let the manager know I felt that was his/her responsibility to which they said they would reschedule. We left on Wednesday and the cable still did not work. It was cold while we were there and we asked about adjusting the thermostat for heat with no response. We were very disappointed. This is a big unit with a lot of resources close by. We got around very easily and surprisingly had good luck with street parking. Overall it was a good value and I would recommend this place. The only thing I would recommend to the owner is to get a new shower curtain and to have extra things like trash bags, toilet paper, etc. for the guest. Excellent location for access to Jackie Robinson -UCLA baseball weekend. Great apartment in quiet, family friendly neighborhood!!! Excellent, no complaints other than need for more towels. We stayed here 5 nights with our family of 5 (3 adult children) and loved it! The rooms are large, the furniture comfortable, and everything worked. The kitchen is dated but well supplied. The neighborhood is indeed quiet and beautiful, and we always found ample street parking. We felt safe and at home. I really enjoyed my stay at this property. It was much bigger than I thoughtit would be. It has everything you could possibly want all appliances worked well the location was great 10/15 minute walk to century city. Nice area, safe area, No air condition and it got very warm even in October. The place was dusty and not vacuumed properly upon arrival. The furniture is acceptable but not comfortable at all ... the bed sheets and blankets are terrible. The parking in front is usually unavailable and the "assigned parking in rear" is in an alley where you have to park across the entrances of some old small garages that seem to be no longer in use by any tenants of the building. The place has one bath with a toilet that takes 5-7 min to refill its water tank after use. There were ample toiletries but the remote for the TV in the living room did not work so it was stuck on BBC the entire time. The pics in the ad are somewhat representative of the actual place with the main exception being that they use panoramic lenses to give the image that the place is rather larger than it truly is in life. Overall I think if your living standards are low to mellow you will find this place somewhat acceptable, but if you are used to anything better than low budget you'll be upset. Slumming it in LA would be my best way of describing the experience but with a positive twist that the place is affordable and safe for the price that is asked for it. Good luck! I was supposed to get a text to let me know apartment was ready with the lights on but I didn't. The apt smelled super clean however. The bathroom light was out our entire stay. I contacted management and they sent someone over and they were to replace the light bulb but never did. They did put a lamp in there. Overall it was good. It can get a little stuffy in terms of air quality. Place was very spacious and neighborhood is great. The apartment was in a very nice neighborhood and close to my sons house. The apartment was clean and large. The bathroom was a problem. The tub leaked profusely whenever anyone showered. Wasted towels soaking up the water on the floor. There was no toilet paper in bathroom. ( later found a roll in the linen closet.) There was a small outside area with a table and chairs but the lock was broken , making it impossible to utilize the area. Streetside Parking was available almost always . The parking space behind apartment was available also. Beds were comfortable. I thought it was a good price. The apartment was clean and provided everything we needed for a weeks stay.